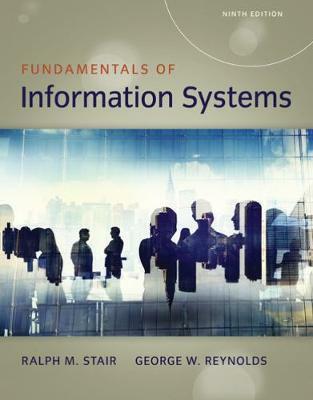 Gain an overview of the core principles of IS and how it is practiced today as the concise, nine-chapter FUNDAMENTALS OF INFORMATION SYSTEMS, 9th edition combines the latest research with the most current coverage available. The book addresses analytics; big data; business intelligence; cloud computing; cybercrime and information system security; e-commerce; enterprise systems; ethical, legal, and social issues of information systems; mobile computing solutions; and systems acquisition and development. You learn how information systems can increase profits and reduce costs as you explore the latest information on artificial intelligence, change management, consumerization of information systems, data governance, energy and environmental concerns, global IS challenges, Internet of Everything, Internet censorship and net neutrality, IS careers, and virtual teams. Leading online MindTap help you further maximize success as an employee, decision maker, and business leader.